Abstract: This article compares the deaths of two abbots as told by contemporary observers, and shows how the relationship between these saints and their ascetic communities on the one hand and secular imperial authorities on the other hand would be consolidated in the way people were shown to react to their demise. 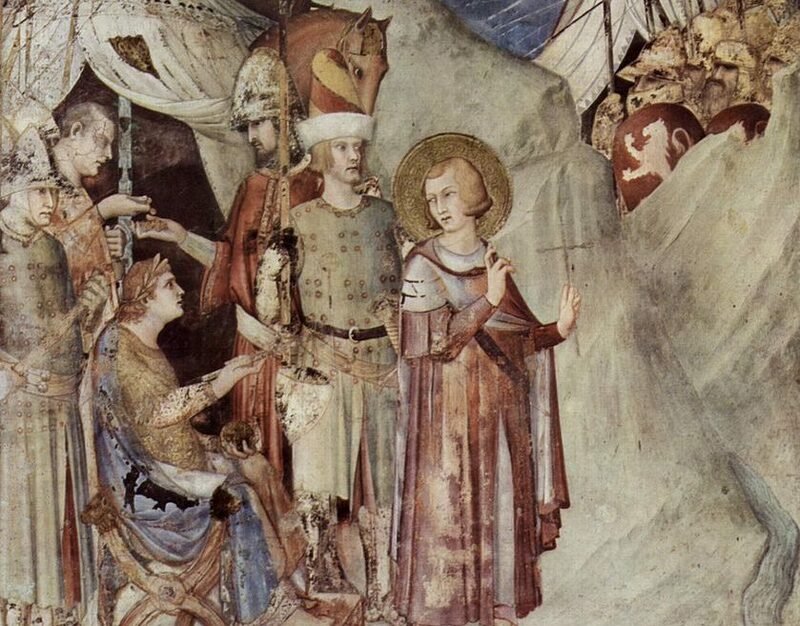 First, the life and death Saint Martin of Tours (c. 316-397) are analysed through the Vita Martini and the letters by Sulpicius Severus. Against the backdrop of a strenuous relation between Roman imperial interests and a burgeoning Christendom, the author uses Martin’s post-mortem reputation to appropriate the authority of his erstwhile rival, the emperor Maximus. In doing so, an attempt is made to resolve the conundrum of how to be Christian under Roman authority. Then, two different descriptions of the death of Benedict of Aniane (c. 750-821) are presented, one by his hagiographer Ardo, the other a supposed eye-witness account by the monks of Inda. By contrasting these two accounts, it will be shown how different observers dealt with the tensions between personal salvation, imperial reform efforts and monastic idealism that emerged when secular and religious authority converged in the Carolingian era. The juxtaposition of the forth-century situation with the ninth-century accounts, finally, will highlight how understanding of authority has evolved in the wake of the spread of Christianity – both in the eyes of those in power, and according to those dealing with them in word and deed.